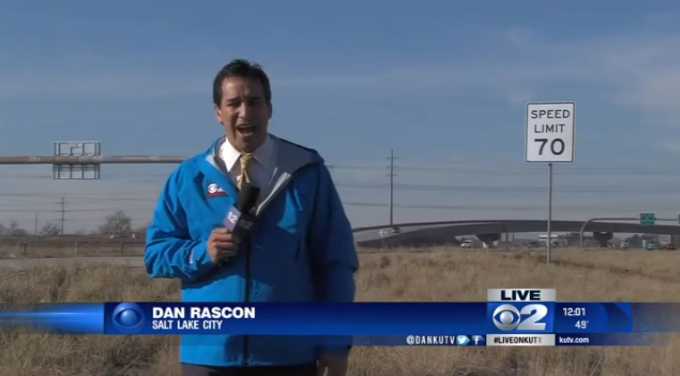 The signs all went up today, making Salt Lake City home to America’s fastest urban interstates. Traditionally, urban freeways are 65 miles per hour (or 55 in cities with really twisty road geometry). As far as I’m aware, no state has ever allowed a DOT to raise urban freeways to higher speeds, until now. The new limit makes Utah one of a kind. Unless Texas decides to one-up. I drove it this evening and it seems like it’s working. I noticed fewer 65ers doddling and the 15 freeway had a nice flow to it. It’s like a few of guilt-ridden Mormons who were too scared to break the law are finally willing to join the rest of us in the 70s range. I felt less of a need to “weave” at 80 miles per hour around slower cars and instead I just joined a nice flow who were all driving about 73 miles per hour.